Eugenie is probably not amused by the most common pronunciation of her name. SHE'S the most famous bride-to-be in the world right now but it turns out most of us have been saying Eugenie's name wrong. How awkward. Pronunciation of her name varies, with most people putting the emphasis on the second syllable and saying "you-JEN-ny" or "you-JAY-nee". Most Australians tend to say "you-GEE-nee", which is just plain wrong if you ask the Princess herself. Maybe even Jack has been getting it wrong. It's actually pronounced "YOO-juh-nee", with the emphasis on the first syllable, in the same way you'd say Stephanie. "Whenever we used to meet foreign people who were struggling with it, my mum and I would help them by saying, 'It's like Use Your Knees'," the Princess told UK newspaper The Telegraph in 2008. Eugenie's title and name will change when she marries Jack Brooksbank at Windsor Castle, with her future husband not getting a royal title. 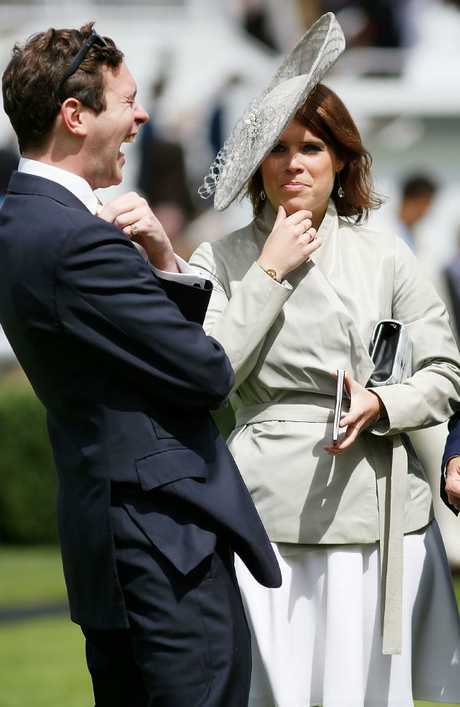 According to The Sun, Her Royal Highness Princess Eugenie of York will become Her Royal Highness Princes Eugenie, Mrs Jack Brooksbank. 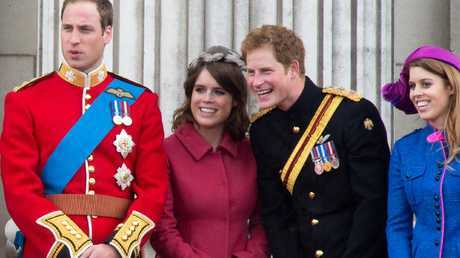 And just as her cousins William and Harry use the surname Wales, the Princess has used her royal house name York as a stand-in last name when required to blend in with the, ahem, commoners at work.